Right. Yes, the photos in this are crappy. I apologise. And there are basically none of them. But this was lunch and I was busy cleaning and tidying and shouting at my boyfriend and other household chores. 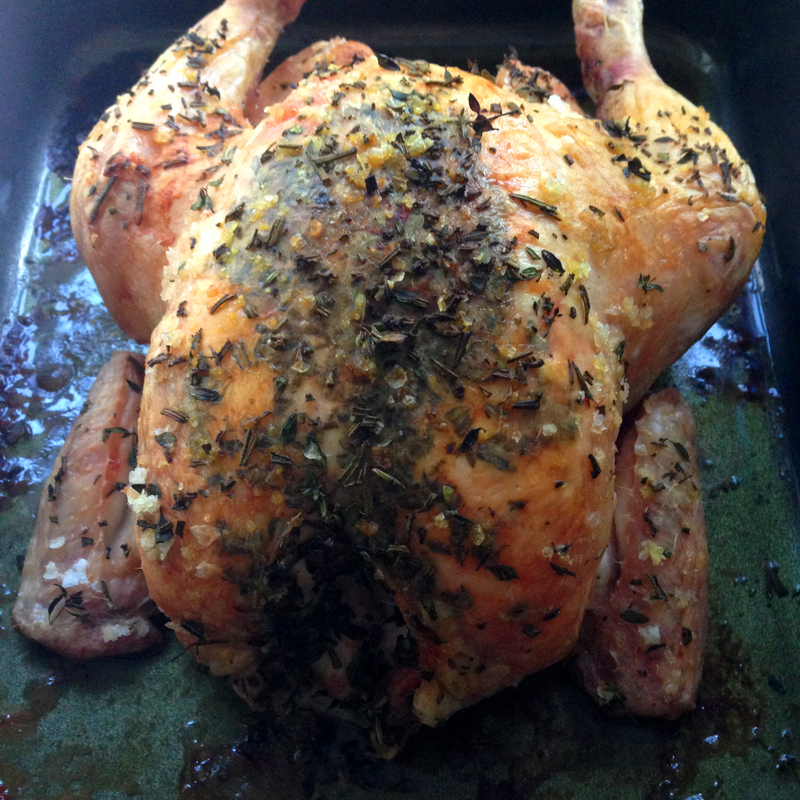 I know roast chicken is SO easy and I can barely count it as a recipe but this is very tasty and makes me happy. 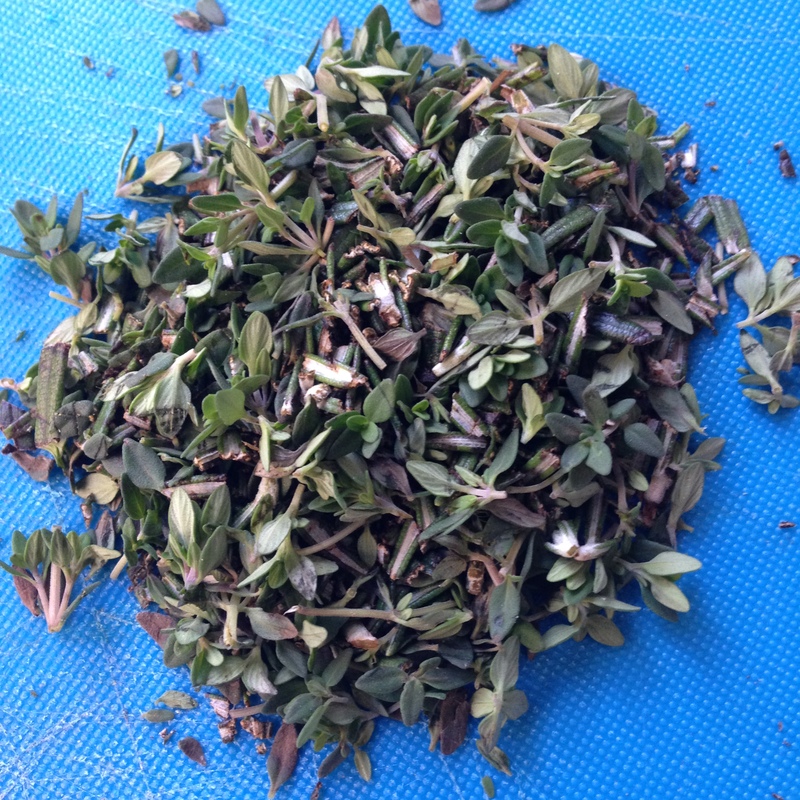 Strip the sprigs of rosemary and thyme of their leaves – you don’t want any woody bits – and finely chop. The smell is just beautiful. It makes me feel very homey and comforted. 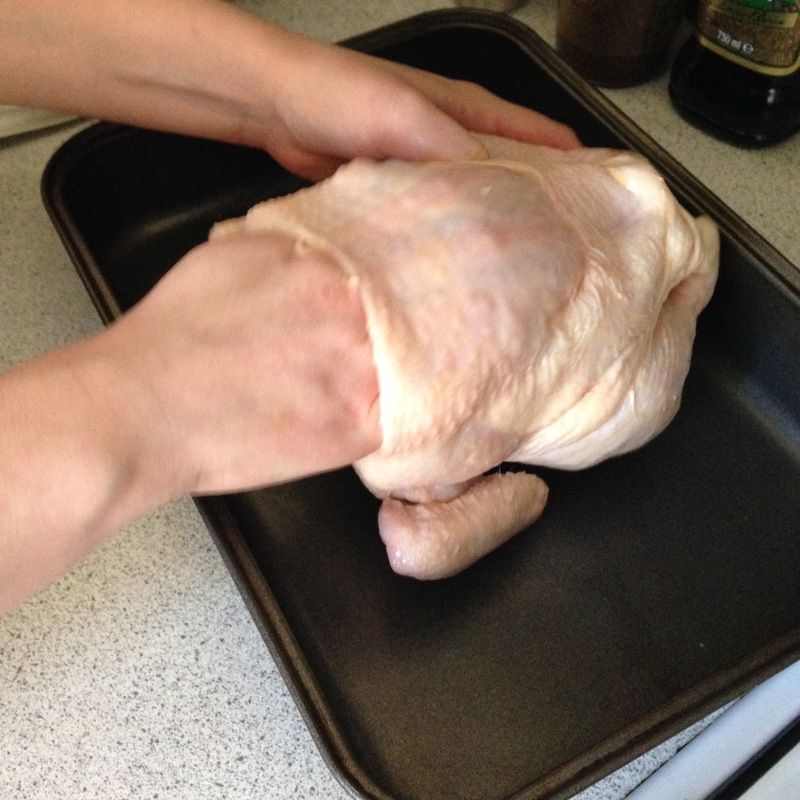 You need to get a bit hands-on here, and very gently separate the skin from the breast, making sure you don’t tear it. Bit gross, I know. Once you’ve done this take a handful of the chopped herbs and slip them under the skin, give it a bit of a rub to even then all out. If you’re feeling very decadent you can always mix the rosemary and thyme with a bit of butter and use that, but I’m too lazy most of the time. Pour over a small amount of olive oil, sprinkle on some salt and pepper and massage into the chicken, this helps make the skin really crispy. Sprinkle over the rest of your herbs and shove your half of onion up your chicken’s bum (we can pretend to be shy about it but you’ve just had your hand in places it should never be, so…) along with the cloves of garlic. 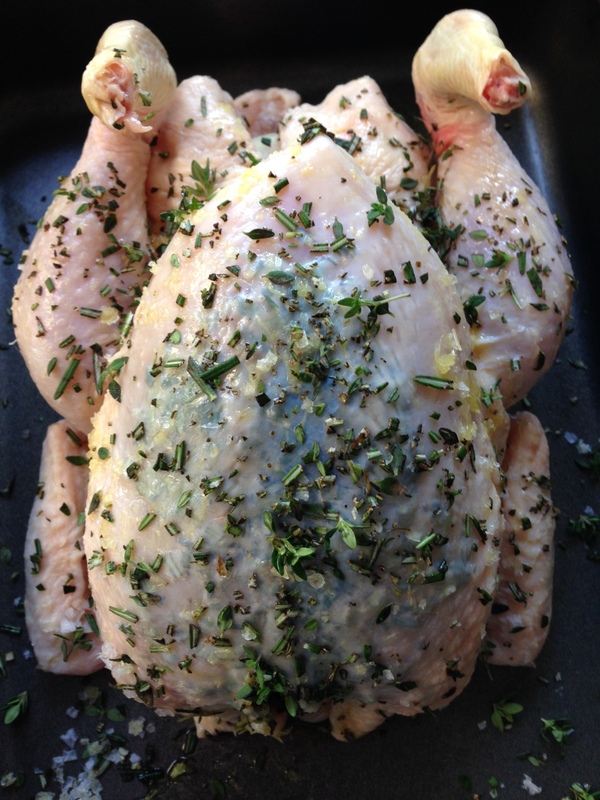 Most chickens take around 40 minutes to cook, with an extra 20 for each kilo they weigh. An approximate cooking time should be on the packaging, or ask your butcher if you’re fancy and grown up. Pop it in at 190°c/gas mark 5 and get ready for your house to smell like HEAVEN. Pull it out, leave it to rest for 15-20 minutes and then tear at it like some sort of animal. I’ve been a huge fan but mmmmm so crispy! Ate so much of this. You are an influential person in the world; can you make crispy chicken skin a thing you can buy in bags like pork scratchings please. Sarah, how do you get your pans so clean. All the best, you’re biggest fan.